Pottstown leasing and property management information for Pottstown real estate investors. SlateHouse officially expands to Pottstown! Over the last 4 years, we had many requests from investors to expand to Pottstown. Now that SlateHouse has over 40 full time employees, we are thrilled to be able to provide the high quality property management service in Pottstown that our owners requested. 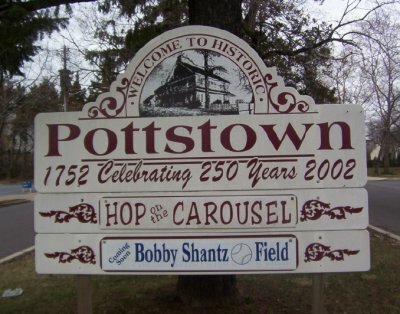 Pottstown is a unique market that requires a unique property management company. Sitting between the Philadelphia metropolitan area and Central PA rural towns --- it's a mix of cultures and styles in a city. Property Manager: James is the SlateHouse property manager for Pottstown. He knows the area well and is excited to continue the SlateHouse tradition of providing high quality local service with the best technology in property management to keep owners and tenants happy. Rates: SlateHouse charges very simple rates to owners. 1) 6% of collected rent each month for monthly management. This includes 24/7 emergency response, handling any evictions, and lease renewals. 2) A one time fee of 50% of the rent as a one time fee to find a tenant. All owner agreements with SlateHouse are month to month as we stand by our commitment to always provide owners with the best service possible. Please reach out if you have an interest in understanding our Pottstown property management services at Service@slatehousegroup.com or 717-220-0201.